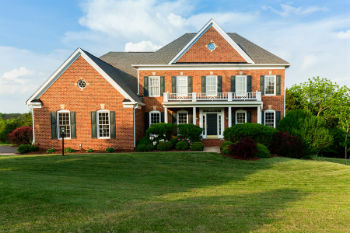 Explore all current Harvest, AL homes for sale below! Harvest is a small, pastoral community located in Madison, AL approximately 20 minutes from central Huntsville. This lovely rural area is characterized by gorgeous green pastures and wide open skies. With a compact population of just over 5,500 residents, Harvest real estate is left plenty of room for spacious properties, many of which are more expansive and sweeping than a lot of houses built in city or town centers. Browse Harvest real estate listings below, or learn more about homes in the community of Harvest! This Gorgeous Home For Sale In Metes And Boundsfeatures 4 Bedrooms, 4 Bathrooms And Is Built In The Beautiful 2story Style. Listed At Only $859,000, This 5,784 Square Foot Residence Can Be Your Perfect Piece Of The Harvest Real Estate Market. This Gorgeous Home For Sale In Kelly Plantationfeatures 4 Bedrooms, 4 Bathrooms And Is Built In The Beautiful Traditional Style. Listed At Only $489,900, This 4,163 Square Foot Residence Can Be Your Perfect Piece Of The Harvest Real Estate Market. This Gorgeous Home For Sale In Magnolia Springsfeatures 4 Bedrooms, 3 Bathrooms And Is Built In The Beautiful 2story Style. Listed At Only $422,000, This 3,686 Square Foot Residence Can Be Your Perfect Piece Of The Harvest Real Estate Market. This Gorgeous Home For Sale In Kelly Plantationfeatures 5 Bedrooms, 4 Bathrooms And Is Built In The Beautiful 2story Style. Listed At Only $399,000, This 3,194 Square Foot Residence Can Be Your Perfect Piece Of The Harvest Real Estate Market. This Gorgeous Home For Sale In Kelly Plantationfeatures 4 Bedrooms, 4 Bathrooms And Is Built In The Beautiful 2story, Traditional Style. Listed At Only $384,900, This 3,225 Square Foot Residence Can Be Your Perfect Piece Of The Harvest Real Estate Market. Register for a free account with Matt Curtis Real Estate and increase the efficiency of your Harvest real estate search. By signing up, you'll be able to customize your property searches & be updated whenever a home that matches your criteria is on the market! The Harvest, AL real estate market includes primarily single-family, detached homes located on large lots. Homes here start at a relatively high size compared to many markets — the vast majority of Harvest residences have at least two stories and are above 1,500 sq.ft. The starting price for Harvest homes for sale is approximately $50,000 and homes can be found listed upwards of $2 million. Residents of Harvest, Alabama homes are in a truly privileged living position. With both Madison and Huntsville just minutes away from the community, and immense stretches of picturesque natural areas and countryside in between, activities are ripe for the picking. Harvest is approximately 15 minutes away from Wade Mountain Nature Preserve, a gorgeous slice of natural Alabama land which features scenic walking and hiking trails, that extend to the Devil's Race Track on Wade Mountain. Harvest is also home to six excellent schools, belonging to the esteemed Limestone County & Madison County School Districts — there is also one private Christian Academy. Whether you're a hiker, a golfer, a city commuter, or someone who wants to save on a beautiful estate, you'll love living in Harvest, Alabama. Want to know more about the beautiful community of Harvest? Contact Matt Curtis Real Estate to learn about Harvest, AL homes for sale! We'll be happy to provide you with more information or set up a walkthrough of homes that have caught your eye.